FILE — Chinese fishermen harvesting giant clams in Scarborough Shoal destroyed coral reefs in the process. MANILA, Philippines — A fisherfolk group appealed to the government to protest China's blockade of Scarborough or Panatag Shoal in the West Philippine Sea. Chinese Coast Guard vessels have reportedly been blocking access to, and driving away Filipino fishermen from, the traditional fishing ground off the coast of Zambales. Fisherfolk group Pambansang Kilusang Mamamalakaya ng Pilipinas (Pamalakaya) condemned Beijing for allegedly denying access to Filipino fishermen in Philippine waters. "China is on a roll; after denying our fisherfolk access to the sandbars in Pag-asa Island, its Coast Guard has now back to its regular bullying of our fishermen in Scarborough Shoal by depriving the Filipino fishers from conducting fishing activity in our marine waters," Pamakalaya chairperson Fernando Hicap said in a statement. According to reports, Chinese coast guard personnel were seen encircling a Philippine vessel near Scarborough Shoal in an incident on March 14. The Chinese Coast Guard drove away the Philippine fishing vessel, which was as large as the ones that Chinese fishermen used in hauling giant clams in the area, the report read. "This is clearly a concerted effort of the Chinese government to put a blockade against Filipino fishers in our traditional waters," Hicap said. Presidential spokesperson Salvador Panelo said the government will file a protest if the reported harassment is true. 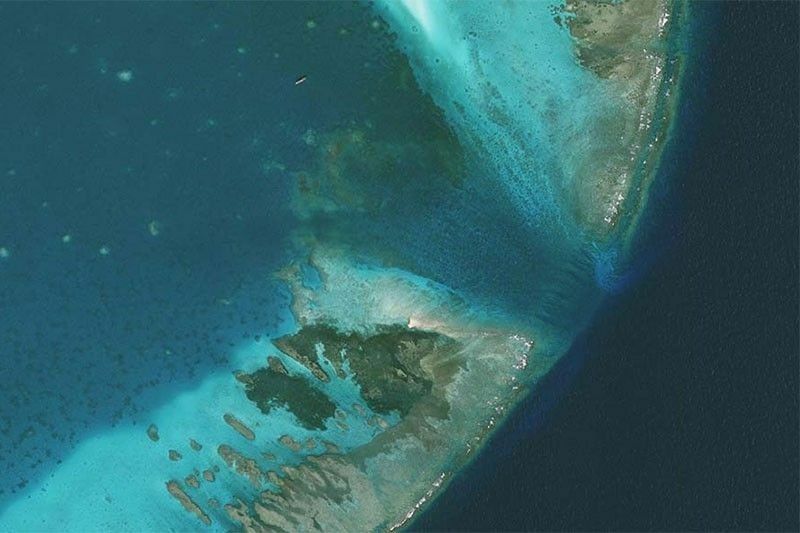 Earlier this month, it has also been reported that Chinese vessels have been denying access to Filipino fishermen in sandbars near Pag-asa Island, one of the largest features in the Spratly Islands. Kalayaan Mayor Roberto del Mundo admitted that the increased presence of Chinese naval, coast guard and fishing vessels in the region have been affecting fishing activities of local fishermen. The military, however, said there it had received no reports of incidents. Pamalakaya pointed out that the Philippine government has all the reasons to denounce China's aggression against Filipino fishermen. "The Filipino public and the international community are expecting a decisive action from the Philippine government to address this ongoing Chinese usurpation and to make the FIlipino fisherfolk back to their livelihood," Hicap said. The reported harassment of Filipino fishermen by Chinese Coast Guard personnel in Scarorough comes as former high-ranking government officials filed a communication against Chinese President Xi Jinping before the International Criminal Court. Former Foreign Affairs Secretary Albert del Rosario and former Ombudsman Conchita Carpio Morales had submitted a communication before the ICC, outlining how Xi and other Chinese officials implemented a "systemic plan to control the South China Sea." The submission urged the Office of the Prosecutor to conduct a preliminary examination on the matter.